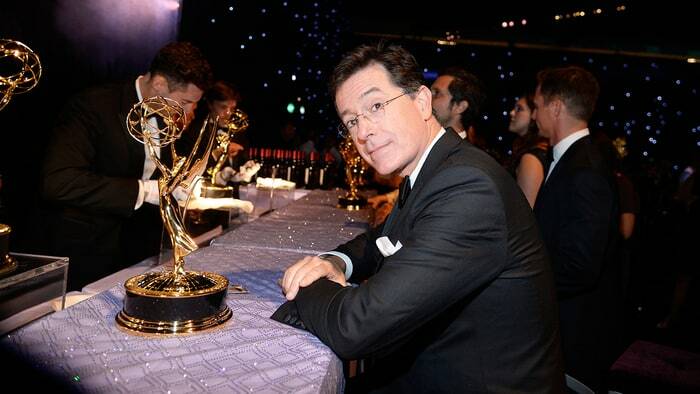 The 69th Annual Primetime Emmy Awards air on Sunday night, September 17 on CBS. The Seat Fillers have done the hard work watching all the nominated TV so you don’t have to. Below are some of Adam and Brett’s picks. See the full Emmy Showdown spreadsheet for all our picks, and to play along at home. Without nominations for Game of Thrones (ineligible) or Mr. Robot, this category is fairly wide open. Westworld, the only HBO Drama in this category, felt like the water cooler show of 2017 and has behind it the power of A-list actors like Ed Harris and Anthony Hopkins. But has yet to achieve the level of prestige of Game of Thrones, Breaking Bad so it’s a little surprising that it became the most Emmy-nominated show this year. This Is Us was the surprise breakout hit, but you’d have to go back to 2006 when Fox’s 24 was the last network drama to win in this category. The Crown won the Golden Globe for Drama in January, and while not a predictor of an Emmy win surely gives it momentum. I think The Handmaid’s Tale can get the win, given the political climate and Emmy worthy performances from Elizabeth Moss, Alexis Bledel and Ann Dowd. Master of None was a joyful delight with Aziz Ansari essentially playing himself, but the show is not in the same playing field as Veep or Atlanta. Every once in awhile a show comes along that feels like you’re watching something special, a unique vision with all the right pieces put together. Atlanta wasn’t just a great show, but something special. I hope enough Emmy voters feel the same way, but traditionally it’s difficult to unseat the reigning champ (Veep has won this award the past two years, having unseated Modern Family’s reign of terror). Atlanta having premiered over a year ago might not afford it the momentum needed to unseat Veep, but it has a bright Emmys future when the sun finally sets on Veep after next season. Netflix’s Black Mirror produced that absolute best episode of television in the past year with “San Junipero.” Black Mirror’s anthology about the wonders and perils of technology is hit or miss, but “San Junipero is the most beautifully crafted and shot episode the series has offered. Saying almost anything about the story will give too much away, but prepare for heartfelt, good ol’ fashioned heart tugging, some 80’s nostalgia, and excellent performances from MacKenzie Davis (Halt and Catch Fire) and Gugu Mbatha-Raw. It’s an instant classic. I love what Anthony Anderson’s done with Black-ish, notably in tackling difficult issues like racism and Trump’s election within the scope of a half-hour network comedy. Also, perhaps more than any actor in this category, this is actually a truly comedic performance. Jeffrey Tambor has won this award the past two years, but this is the first time that Transparent wasn’t nominated for Comedy Series so I have the feeling support for Transparent has waned within the television academy. I think Atlanta’s special and unique flavor will be enough for Donald Glover to break through for the win. ‘Veep’ has won Best Comedy for the past two years, when it unseated ‘Modern Family’, which had won for five consecutive years (at least two years too many, IMHO). As with many things Emmy, this is a category that has had very little forward momentum in recent years, and I would be surprised if Emmy voters do anything but the usual. On top of that, ‘Veep’ was excellent in its sixth season, and is legitimately still one of the best comedies on TV. If anything can upset the juggernaut, it’s probably ‘Atlanta,’ the new critical darling that is taking risks and doing things that no other TV show ever has. If I were an Emmy voter, ‘Atlanta’ would get my vote. I’m not, however, and I suspect most voters will still gravitate to something they’re familiar with - Selena Meyers and her band of political misfits. For the first time in a very long time, owing at least in part to a Westerosi-sized void, the Best Drama series category is wide open. Of the seven nominees, only ‘House of Cards’ and ‘Better Call Saul’ feel like they don’t have at least a sliver of a chance at being named Sunday night’s final winner. That leaves five other series who could potentially walk away as winner. If this were earlier in the year, I’d have predicted more momentum for ‘The Crown’, but that show’s star appears to be fading with time. ‘Westworld’ looks great and it benefits from being on HBO, but even so, I think the three most serious contenders are ‘This Is Us’, ‘Stranger Things’ and ‘The Handmaid’s Tale’. One is a suprise network hit, one is the show everybody loves to love, and one feels the most relevant in the age of Trump. If I were voting, I’d probably pick ‘Better Call Saul’, but of the three most likely to win, ‘Stranger Things’ was my favorite, so I’m going to go with that. If ‘This Is Us’ or ‘The Handmaid’s Tale’ win, which are very possible, I won’t be surprised at all. Last year’s Best Actor in a Drama, Rami Malek, was eligible but not nominated for his work in season 2 of ‘Mr. Robot’. That doesn’t mean this is a tough category to predict, however. While I wasn’t a big fan of ‘This Is Us’ personally, the work of Sterling K Brown stands out as some of the best on TV all year. His co-star Milo Ventimiglia has no business being nominated, if you ask me, so I don’t think he’ll siphon off votes from fans of the show. Brown was also a winner in the limited series category last year, so we already know Emmy voters like him. If I had a vote, I’d give it to Bob Odenkirk for his consistently excellent work in three seasons of ‘Better Call Saul’ plus most of ‘Breaking Bad’s’ run too. This one is Sterling K Brown’s to lose, though, and anybody else would be an upset. I am late to the game watching ‘The Americans’, so this is the first Emmys where I can be fully amazed that Keri Russell has never won for playing Elizabeth Jennings, a Soviet spy in Reagan-era Washington, DC. From what I have heard, the fifth season was a down year for an otherwise excellent show, as it sets up its sixth and final season next year. All of which is to say, Keri Russell will once again probably not win an Emmy for playing one of the best characters on TV, and that’s a shame (ditto Matthew Rhys, her co-star). Here’s hoping that the show gets its due in 2018. As for the likely winner in this category, Elisabeth Moss will win for her work as Offred in ‘The Handmaid’s Tale’. It’s hard to imagine anybody else playing that role, and she is nothing short of amazing - anybody else would probably be an upset.